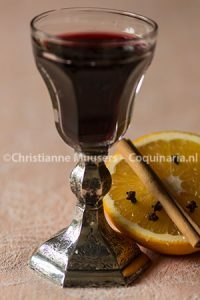 The Dutch consider Bishop wine as a typically Dutch mulled wine for Sint Nicholas Eve. But it appears that its origins are not Dutch at all. 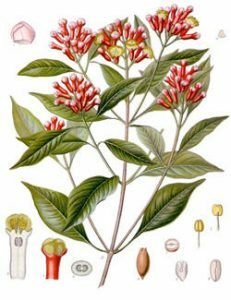 According to the large Woordenboek der Nederlandsche Taal (Lexicon of the Dutch Language, published in installments from 1864 to 1998), bisschopswijn has English roots. The name indicates the likenis of the red drink to the bishops’ robes. 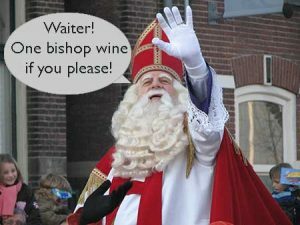 Later, the Dutch would associate the bishop’s wine with one bishop in particular, Saint Nicholas or Sinterklaas. 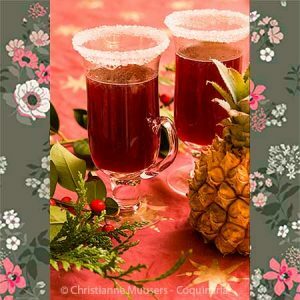 More recipes for Dutch Sinterklaas. On this page is a modern version of Bisschopswijn, but I have also published a niniteenth-century English version called Smoking Bishop. For 1 bottle Bishop Wine; preparation in advance 10 minutes + 1 night; preparation 5 minutes. Pour boiling water over the orange to remove the protecting layer of wax. Organic oranges also often have this layer. Stick the cloves in the orange, and put it in a pan together with the other ingredients. Cover with plastic foil and let it rest for one night. Remove the plastic foil and heat the wine to no more than 70 oC/160 °F. 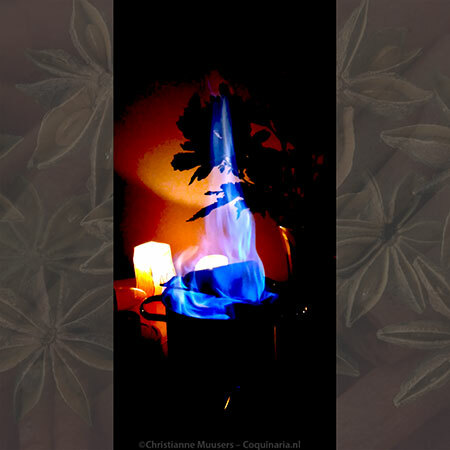 If so desired, add ½ to 1¼ cup hot water to the wine. Strain the wine through a cofee filter and pour while the wine is still hot. The wine must not be boiling hot, but to be on the safe side, do not use the best crystal glasses. Even tea glasses are possible.